Enjoy every moment! Cherish every memory! Welcome back! Hope you are enjoying your weekend. I normally don’t blog on weekends but today is an exception. 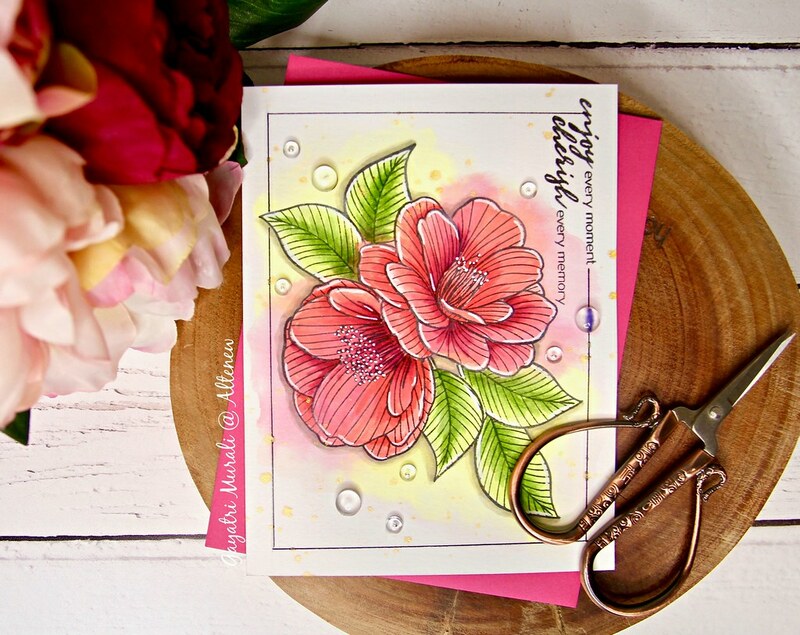 I am taking Altenew Academy’s One Layer Wonder class by Kelly Latevola. I am sharing day #3 card for the class. I skipped day #2 because I was busy yesterday and didn’t have time to make the card. I will get to it soon 🙂 So here is my day #3 one layer card. 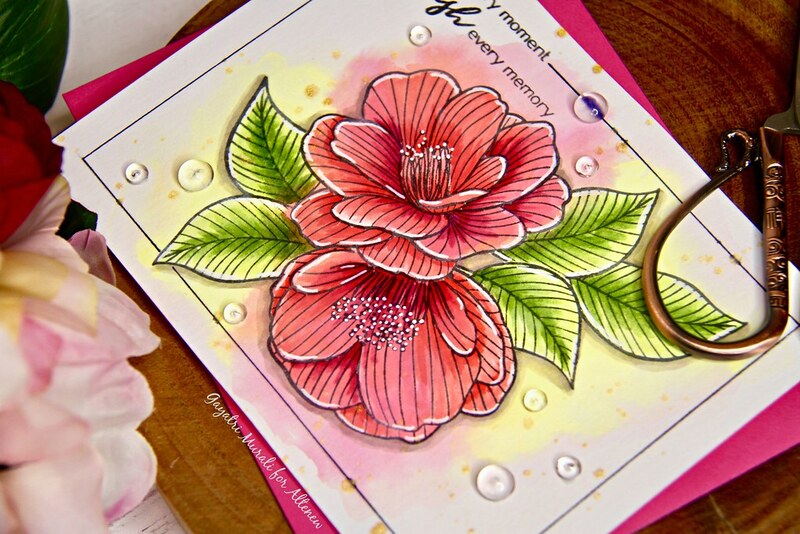 I used Altenew’s new Cherished Memories stamp set to make this card. 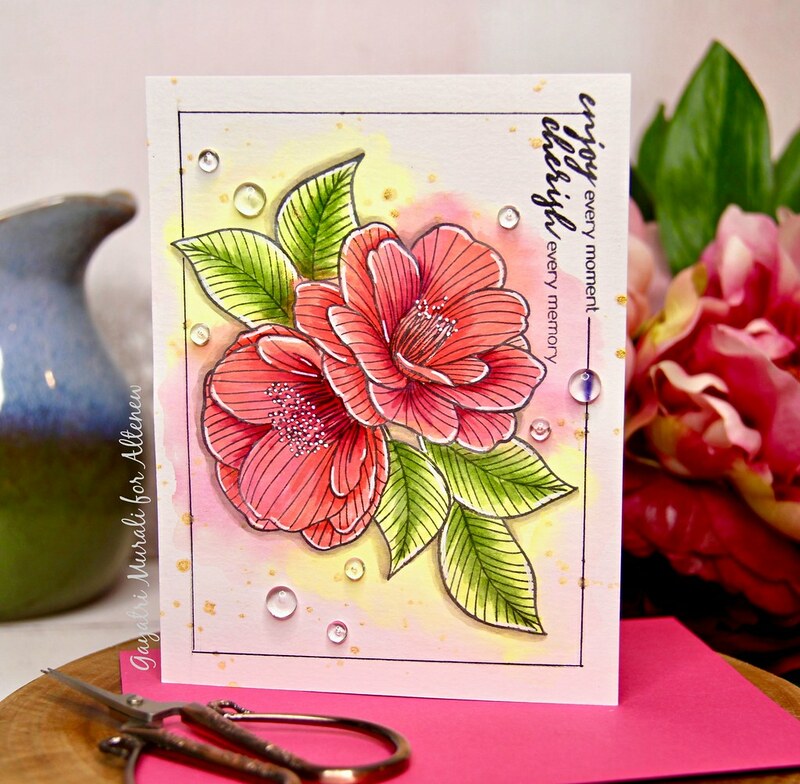 I stamped, masked and stamped the flowers and leaves from the stamp set for make a cluster. Then used Twisted Citron, Abandoned Coral and Picked Raspberry distress oxide inks to under paint the floral cluster and the background. Then used Altenew’s Artist Marker pens to add shading to the floral cluster. The using Sakura gelly roll white pen to add highlights. Finally added drop shadow to the cluster. I again stamped the sentiment vertically and drew a black outline to frame the cluster and sentiment. 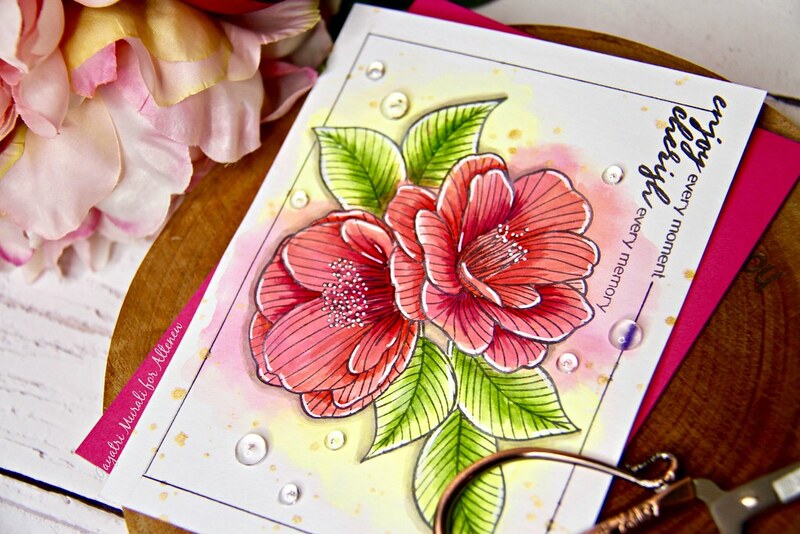 Then finally added a few clear droplets to finish off the card. All the supplies used to make this card are listed below. 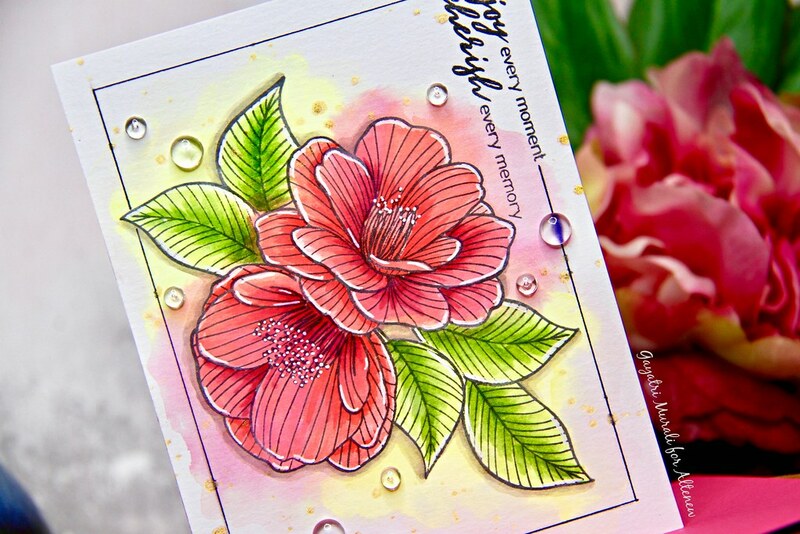 Beautiful card! What gorgeous olors! Stunning Gayatri. I’m loving this class. Fossil fuels like coal and oil supplied us using the essential resource to produce our own electricity with all the use of generators in power plants. “Well, this is hilarious, the truth is, there exists a far-left leaning former high-ranking bureaucrat investigating a straight further far-left administration. Around $117 billion was committed to projects emphasizing alternative energy sources like wind, biofuel, solar and geothermal.